The EUPSA former President (2005-2007) Prof. Andrew Pinter passed away Sunday night in Hungary. He was a Professor Emeritus of Pediatric Surgery at Pécs University. The EUPSA was first to announce it. We present here the eulogy from Attila at the remembrance ceremony for Andrew Pinter. The words come from Prof. Attila M Vastyan, but they represent the feeling of the WOFAPS exec, and indeed, all who had the pleasure of knowing Dr Pinter. Paediatrics in Pécs, and in the name of the national and international paediatric community. amongst the founding fathers and he took a major part in the establishment of the society. Many of us present still remember those times. intertwined with the development of Hungarian, and later international, paediatric surgery. some, sometimes personal, thoughts with you. Pécs was his first and last place to work. numerous Hungarian junior paediatric surgeons were established then and there. which characterized Andrew Pinter from the beginning to the very end. when the requirements, duties and guidelines need to be redrawn. – to do what is most important in our lives and to accept all to which fate bounds us. Tarnished words. A heavy legacy to carry on. a respected member of foreign societies and committees. extraordinary feat, definitely the peak of his career. board exams. Many people, many of us owe our gratitude for many things to Andrew Pinter. is an activity and data worth recognizing. decipher the meaning behind the word “retirement”. continued his school-founding activities until the end of his life. admonition: he accepted the things to which fate bound him. see the joy and the unusual awe in his eyes. remember you past, present and future. Several Pediatric Surgeons from the WOFAPS executive committee released eulogies and are listed below. He was a pioneer and a great man. He deserves all our admiration and respect. He belongs already in the Pediatric Surgery History. We feel extremely sad on the sad demise of dear friend Andreas. He was our great friend. Apart from mastery in the subject, He was a lovely personality always full of pertinent jokes. Even at late age he was a regular visitor to the hospital and a marathon runner. Our heartfelt sympathies to Kinga. It is with great sense of sadness that I learnt that our dear friend Andrew Pinter, whom I knew for nearly forty years passed away .He was a highly respected member of the global paediatric surgical community & a great advocate for the welfare of children, particularly in the Eastern Europe. Andrew was an inspirational and unique person who will always be remembered with fondness by all who knew him personally . Veena & I extend our deepest sympathy to Kinga & the family. It is with sad hearts we received the news of the loss of great name in the world of pediatric surgery, Andrew Pinter. Pediatric surgeon and an attractive speaker. He continued till the last moment to fulfil his clinical duties in Pecs, Hungary and to serve a s mentor for the young generation. 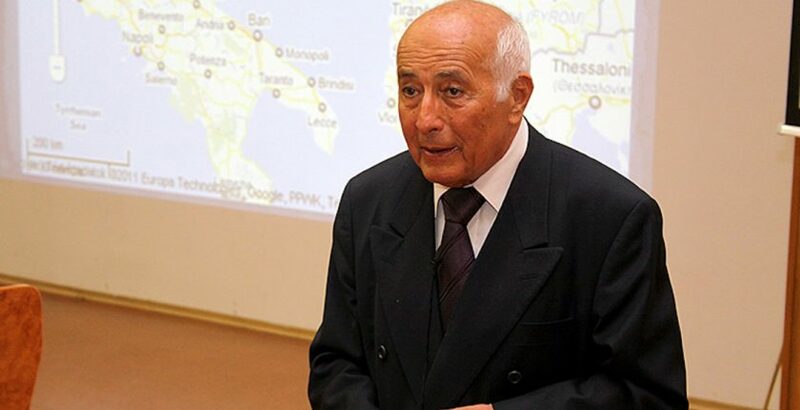 At the personal level, he had a charming personality full of warmth and humor, he supervised the Imre Pilasanovic visiting professor program in Pecs, Hungary for many years, where he invited a lot of distinguished pediatric surgeons from around the world for scientific exchange and educational discussions. I will personally miss his very pleasant annual email sent to his close friends at the new year full of friendship and hope. RIP, Andrew. Andrew was a great friend of BAPS & will be hugely missed. An excellent paediatric surgeon & teacher, he always had a smile and a humour full story to tell. We offer his wife Kinga and family our deepest sympathy at this time. He has been a role model for many enthusiastic young peds surgeons. I was deeply impressed visiting his well-established institution in Pecs. His many trainees and students will follow his honorable path. My deep condolences to his family and his team.